This has been a strange winter with little snow and not so cold temperatures but Spring has come! Time to think of lighter weight tops and pretty summer shawls. We have lots of choices in yarns to knit or crochet your Spring and Summer wardrobe. Use the Link on the right side of the page to get to our classes. The top link is broken and needs to be repaired. An International On-Line Freeform knit and crochet group that I belong to puts out a book every year of projects people have made to go with the year’s theme. The guilds website is http://www.intfff.com Check out this year’s book and what the guild is all about. There is also a Face Book page. Check in the photo albums. If you want to spread your wings and become creative, try Free Form. Our Group is working on the 2017 book now! Check with me to find out how to join us for the 2017 or 2018 book. 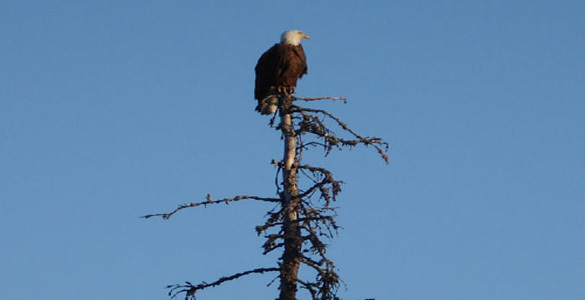 Last Spring during Open Knitting a bald eagle flew by the classroom window and landed in an old pine tree in the yard. While many people are eager to see an eagle so close, Yorkie owners have mixed feeling at seeing them. We have at least three nesting pair in our area and they fly over every morning. As soon as the leaves are fall, they will present a problem and the Yorkies girls wouldn’t go out without us. It just goes to show that you never know what you will find at Playing With Yarn during Open Knitting. Don’t forget to look at our Outreach page, we keep adding new photos as we get them of people’s itty bitty baby dolls clothes. Remember our Open Knitting on Monday Evenings and Thursday Mornings! Everyone is welcome no matter if you knit, crochet, weave, embroider or what! People have learned to knit and crochet during these free Open Times and everyone has certainly increase their skills with yarn! 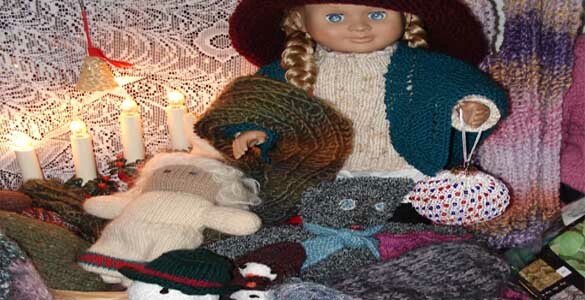 And we are on Face Book now – Playing With Yarn in Knife River, MN – become a fan. And check out the Outreach page for our new itty, bitty baby project. I crocheted my baby a darling sun suit for my equinox project. Check out the outreach page to see the photos or Join us on FaceBook – Playing With Yarn in Knife River. Don’t forget to sign up for our mailing list as we are using it more and more to keep you up to date with happenings We are keeping our day-time Open Knitting on Thursdays from 10 to 12. These times remain open to all at no cost! 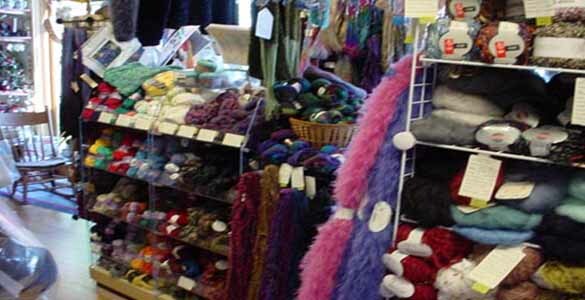 A world class Minnesota yarn store on the Shores of Lake Superior, Playing With Yarn has the yarns & knitting supplies and support to help you knit fine quality hand-knit sweaters and garments. 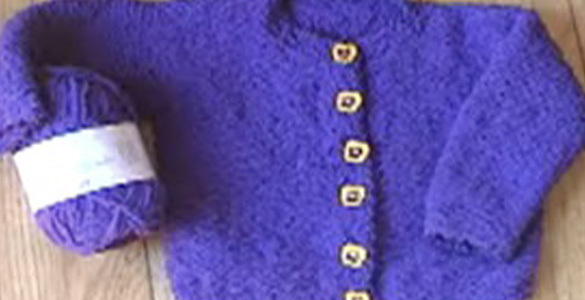 Playing with Yarn specializes in supplying individuals with the yarns and knitting supplies necessary to make a hand-knitted sweater that isn’t just an article of clothing, but a unique work of art. Getting you supplied with the necessary materials to create the warm, luxurious feel of a natural fiber hand-knitted sweater, for the sole purpose of your enjoyment and comfort is what we do best. We carry yarns from: Art Yarns, Berroco, Cascade, Classic Elite, Circular Solutions, Crystal Palace, Dale of Norway, Dark Horse Debbie Bliss, Elsebeth Lavold, Feza Fantazi, Frog Tree, Hanne Falkenberg, Harrisville, Isager, Jade Sapphire, Karabella Yarns, Knit One Crochet Too, Maggie Knits, Marks & Katten, Misti International, Mountain Colors, Opal, Rauma, Regia, Rowan, Rowan Yarn Collection, Signature Knitting Kits, Sirdar, Skacel Collection, South West Trading Company, Trendsetter. 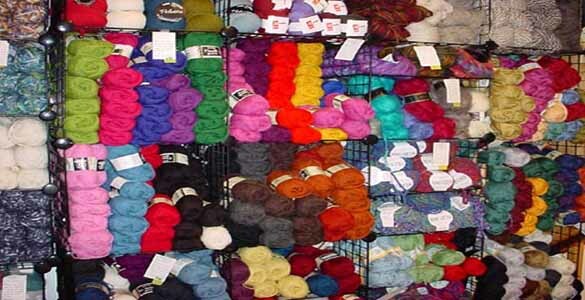 We also have patterns to support these yarns, spinning fiber and weaving supplies. Explore our other pages as we showcase a lot of our products. If there is something you need but can’t find feel free to call or email us, and we’ll do our best to help you. 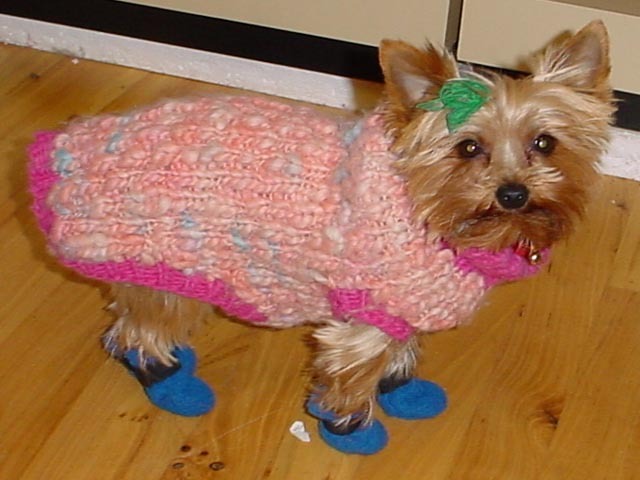 The Yorkie Girls, Emma, Lilian, Winnefred and Josephine say, “Click here to View a sample of dog sweater possibilities.” Every dog loves a hand-knit sweater in wonderful yarns. We have a number of new Dog Sweater Books plus individual patterns for not only the dog but matching human patterns. The Yorkie Girls, Emma, Lilly, Winnie, Jossie, Flossie and Bunny are always happy to model their sweaters for you! This information will save you lots of time and frustration! Knitting Techniques Information. 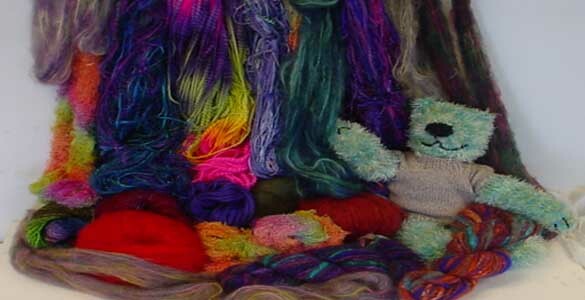 View Knitting, Crochet, Spinning & Weaving Classes offered by Judy and our skilled teachers! The selection and prices are awesome (a lot of the times FREE)! Have you made something that you want to showcase? Are you looking for ideas? Click here to send in your picture and story.